Top Quality Cannabis, From Us to You. Our sustainably grown flower and potent oil will give you the best experience possible, whether you’re headed for a weekend in the mountains or a night on the town. Explore our full range of products below (note: not all UKU products are available in all locations). We grow dozens of strains, from indicas to sativas and hybrids, with various terpene profiles providing a wide range of effects. After months of carefully tending our plants, we hand-harvest our crop of frosty, fragrant cannabis and store it in a perfectly-controlled environment to remove moisture and preserve flavor. Once dried, we slowly cure our cannabis in a cool, dry space to ensure a consistent, enjoyable experience every time.  UKU starts with the highest-grade, lab-tested cannabis, and uses only CO2 to produce an extract rich in cannabinoids and terpenes. Cutting-edge technology is then utilized to produce the purest oil while maintaining the integrity of the full spectrum of cannabinoids. Just in town for the weekend? Heading to the mountains for an excursion? Or maybe you misplaced your battery (again). Try a UKU disposable vape pen. It’s the same craft cannabis distillate you love but in a convenient, compact device you don’t need to be afraid to lose. The same terpene-rich, high-potency CO2 oil used to create our distillate, in an easy to use dropper. Clean, flavorful, and versatile, UKU droppers allow you to consume concentrate at home or in the wilderness in the way that best fits your needs. We remove cannabis-derived terpenes from the supercritical CO2 extraction and reintroduced them to the distillate. Oil produced through CO2 extraction is the purest available, and our process ensures both the terpenes and cannabinoids stay intact, giving you a full-flavor, full-potency effect that ensures the entourage effect. At 5mg THC per mint, our delicious microdose mint will put you in control. Reliable, consistent dosing with the added benefit of discrete use can easily be integrated into your active lifestyle. At 5mg THC per mint, our delicious microdose mint will put you in control. Reliable, consistent dosing with the added benefit of discrete use can easily be integrated into your active lifestyle. Try one of our unique flavors today!